Kuwait will begin receiving its ordered Eurofighter Typhoon fighter jets as of the fourth quarter of 2020 with delivery completion expected in 2023. 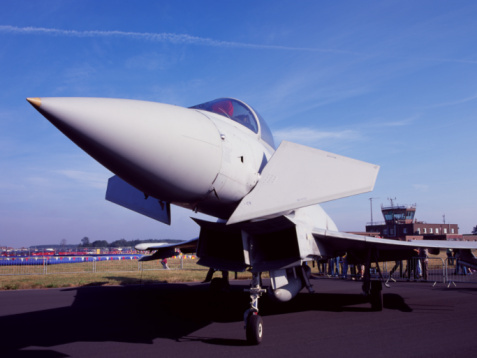 Air vice-marshal Adnan Al-Fadhli Sunday told state-run news agency KUNA that a team from Kuwait’s armed forced had visited Eurofighter factories in Europe to see production of the fighters it commissioned to the tune of $8.7 billion. The Gulf country had ordered 28 aircraft from the British, Spanish, Italian and German alliance of defense and aerospace companies. Italy’s Finmeccanica, one of them, is currently assembling the fighter jets. Under the deal, the Italian manufacturer will produce 22 single-seat and six twin-seat aircraft. Aside from the production, the alliance of companies will also build infrastructure at Al-Salem airbase, train Kuwaiti pilots and provide support services for three years. Kuwaiti pilots are already undertaking training in Italy prior to the delivery. They have already taken part in drills, in Egypt and Oman, reports say. The Gulf country is among the few customers of the European military aircraft in the region. Saudi Arabia, Oman and Qatar have already placed orders for dozens of the aircrafts. Posted by Jaber Ali on Nov 5 2018. Filed under Gulf News, Headlines. You can follow any responses to this entry through the RSS 2.0. Both comments and pings are currently closed.